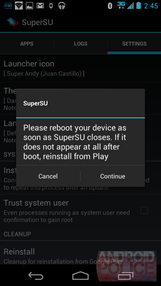 Those of you in the habit of rooting and/or flashing custom ROMs are likely familiar with SuperSU, one of the most popular Superuser options available. Developer Chainfire has just released the long-awaited 1.0 version of both the standard and Pro apps to the Play Store. In addition to the usual bug fixes (many of which affect newer HTC devices), there's a bevy of new appearance customization in the app settings. You can choose between five different app icons (or none at all), three different Holo themes, or a manufacturer-friendly system default. Some more substantial changes include the ability to move the app to the /system folder without using an external file manager. 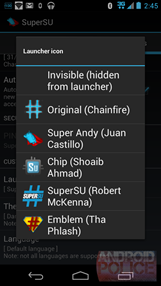 There are new features for CyanogenMod users, and a "trusted" mode that will always trust the superuser. Note that this mode is pretty dangerous, since it hides all root privilege pop-ups and assumes an affirmative answer. Users of the $2.49 PRo version get the option to set a custom time for root permission pop-ups, per-app time limits, and per-app PIN codes. The developer notes that the compatibility issues with some S-ON HTC phones have been addressed, but not perfected. Boot loops have been largely fixed, but some advanced functions will still cause a reboot. If possible, a custom firmware that allows for full read/write access to the /system partition is advisable. 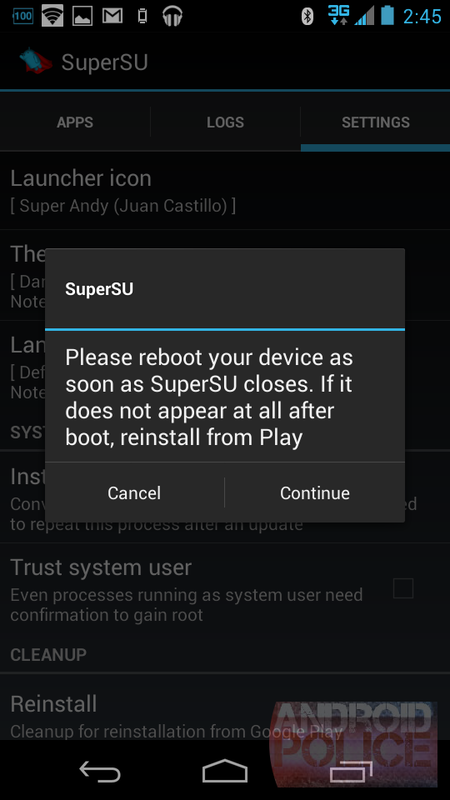 For Android 4.2 users, multi-user mode is on the way, but wasn't finished in time for the 1.0 release of SuperSU. For a more in-depth look at the new changes, you can check out Chainfire's website below. 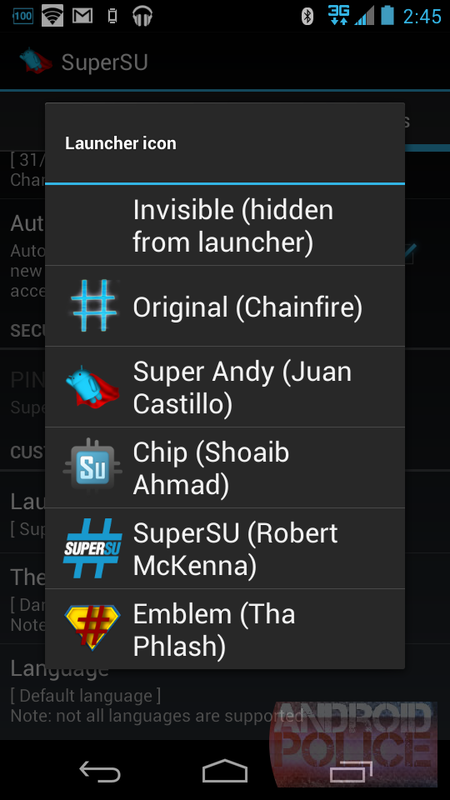 Chainfire - SuperSU v1.00 has been released!